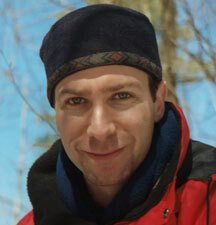 Stephane, creator of BestInspiration.com, BestSpirituality.com and BestMotivation.com uses this blog to share the knowledge that he believes, can have the most positive impact on one's life. Follow up on my last entry: "Master of Your Inner World"
One day after publishing my blog entry "Master of Your Inner World", I was reviewing a book recommendation that I received lately for BestSpirituality.com. The book in question is "The Messiah Seed" by Story Waters. So I did a search on google and found out a site dedicated to it. I then found and read an article written by Story Waters titled "The Power to Choose Joy - A bridge to The Messiah Seed" and found out that it was very compatible with the short article I just wrote "Master of Your Inner World" and thought I would share this with you, as it could help you understand even better what I was trying to convey. "To see your Self as not being accountable for your state of being is to live within a belief in external forces that have control over you. This can be manifest in such forms as a controlling person, governmental laws, or a lack of abundance; basically symbols of perceived limitation. This births the ability to blame . To blame is an attempt to hold this externalized aspect of your power responsible for your state of being, instead of being fully responsible for your Self. Re-assimilating this externalized power is a part of the journey to being All That You Are. To take back that power is to come to the realization that all power over your being is yours alone . It is to realize, within your Self, the absolute power of choice over your being . To experience your power of choice is to realize that you are the one that possesses the power to choose joy for your Self. When you realize joy as being a choice you will realize that all states, including suffering, must equally be a choice. Through this you will see that to take responsibility for your own suffering is to empower your Self to be able to choose joy. A part of the journey to joy is therefore to take ownership and responsibility for your own suffering. To do this release all sense of 'blaming others'. Understand that this will be a gradually unfolding process." One understanding that could tremendously change your life, if you haven't realized this before, is that even though it doesn't always feel so, you are ultimately the master of your inner world. What this means is that ultimately, you are the only one who has the power to decide how anything outside yourself affects you and gets you out of a peaceful and pleasant state of mind. How could it be otherwise? Isn't it YOUR inner world after all? Realizing that the cause of negative emotions, by which I mean anger, irritation, impatience, resentment, self-pity, boredom, and other such feelings that normally figure largely in a person's day, is in oneself rather than outside oneself, can be very transformative but also highly threatening to the ego because all of a sudden, one has to take responsibility for them. One cannot anymore blame anyone or anything outside him or her for any disturbance to one's inner peace. You have to be willing to surrender the payoff of negative emotions. Negative emotions give you a tremendous payoff. People hang onto resentment, victimhood, etc, and really play it to the point of death. They need to be the martyr, the victim, the wronged one, and justify their resentment, and this even at the cost of survival and success. Because people love feeling sorry for themselves. You have to be willing to give that up - That's all. Am I willing to let go of all the negative payoffs I'm getting? If you do, that means you've begun a new life. So we love our negative emotions, even though they are .. well .. negative. Which means that they are ultimately not good for us, neither are they usually good for those around us. I like to compare negative emotions to candies. They bring instant gratification but at the cost of our health and greater good. If you want to improve your capacity to enjoy life and be happy, then consider starting owning and taking responsibility for your negative emotions. Realize that ultimately, YOU are the master of your inner world and that nothing outside yourself is the cause of your suffering and should be blamed for it. This will change everything. Today's entry will set the foundations for the next several entries. I believe that what we are all truly looking for, and chances are you will agree with me, is to be happy. We want to enjoy being alive as often as possible and as intensely as possible. I also believe that a powerful insight can truly have a tremendous impact, of exponential magnitude, on the remaining of one's life. Because it leaves this person changed, and consequently, every single remaining second of his/her life is impacted. So what I plan to share with you, within the course of the next several weeks, is some of the knowledge that I believe, if you have never been exposed to, and if you are ready for it, has the highest potential to create in you insights that could increase your capacity to enjoy life, or in other words, your capacity to be HAPPY. I would also like to invite you to share with me any insight, any new understanding, that had a profound and positive impact on your life, that left you a changed person. Specify in the contact form if you agree to let me share it on this blog or not. You won't be interested by any of this if you don't intuitively feel that there is something more to life, that you could be more happy. You have to be opened to the idea that there might be something you don't know, the knowing of which could change your experience of this life, in the right direction. The last step is to "add" the blog. I am very happy to announce, after SEVERAL weeks of hard work, the official launch of the new version of BestInspiration.com. I am very pleased with this latest version, and I hope you will like it too. I have made several other improvements to the site and those of you who are regular visitors will notice them. You are among the firsts to learn about the launch of the new version and I would very much appreciate if you could assist me in testing the site(s) by spendind a couple of minutes or more on it (them), maybe registering, rating quotes, books, etc and even submitting new content. and post it there (click on "comments"). By the way, this blog section is also new and I hope to be disciplined enough to write there at least once per week. visit http://www.bestinspiration.com/ and use the form on the left to subscribe. By the way, as I might have mentioned in the past, my first language is french (I am a frenchCanadian as you can read here: http://www.bestinspiration.com/about.php ) so its very possible that you will find language-related errors on the site. If you find one, please let me know. Thank you all for your support and please feel free to let me know what you think about all this.